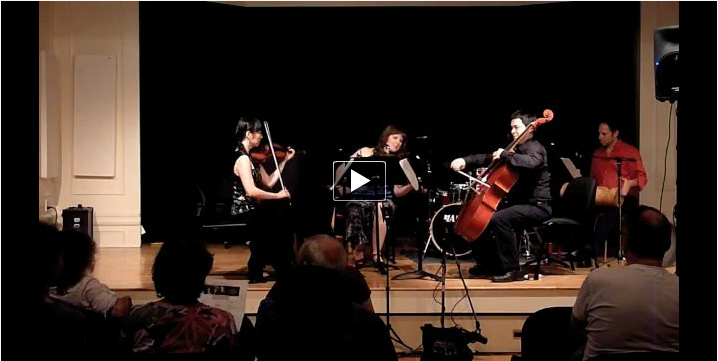 Every Sunday at 5 PM, New York Music Daily present the Sunday Salon at Zirzamin (in the old Zinc Bar space on Houston at LaGuardia, downstairs). An A-list of New York songwriters and instrumentalists work up new material and cross-pollinate in a comfortable, musician-friendly space. There’s no cover, and at the end of the salon, there’s a 45-minute set by a rotating cast of topnotch New York and international songwriters and composers. We're honored to be featured on Feb 24! 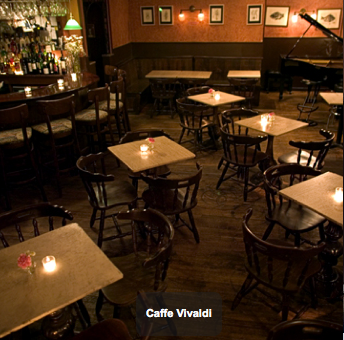 After a brief summer hiatus, we're excited to play at Caffe Vivaldi for our first performance of the season. Hope to see you there!